What an absolutely incredible weekend I've had, tackling the Thames Path 100. 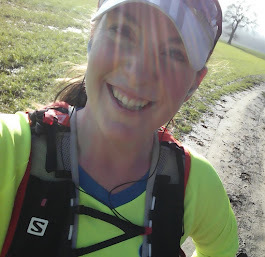 I am trying to get everything straight in my head, and will blog fully about the race soon - there's so much I want to tell you about - but as an overall headline, somehow I had a storming race and I loved it! The race organisation, the course marking, the volunteers, the countryside, the weather, being with friends and making some new ones...It just couldn't have been better! Don't get me wrong, from about 85 miles I thought the torture was never going to end, and I couldn't understand why every mile felt like three, and some of the blister pain I experienced was epic! However, for the majority of the race, I felt very comfortable in my running, and even being out over night was fine, and my various head and hand torches all worked really well. I'd been aiming for a sub-24 but somehow managed to run down a finish time of 22 hours and 20 minutes which (not to blow my own trumpet) is a decent finish time, especially for my first go, and I couldn't be prouder of myself. When I realised a sub-23 hour finish was possible, I massively pushed on and really fought for it. I went from ranking 174th at the first main checkpoint, to finishing in 52nd position, as I moved up through the field, continuing to run strongly through the race, and was 4th Lady too! Unfortunately about an hour after I finished and had been awarded the all important "One Day" Centurion buckle, I ended up being carted off to hospital by ambulance! I kept fainting, the medical team in attendance at the race couldn't increase my low blood pressure, and then my oxygen saturation level started dropping to apparently dangerous levels. I'm home now and absolutely fine - I was sent away with a clean bill of health by the doctors, but with instructions to look after myself better when I race and make sure I eat enough proper food, take salt tablets instead of just electrolyte drinks, and rehydrate properly! Anyway...proper blog with more pictures to follow soon!